Whether you know it or not, you already have an energetic toolbox. 20th century materialistic science did not consider awareness as causal, as causative in the 3D world, in any way. You, dear Reader, understand awareness, soul, choice and intention, are likely the MOST causal of all factors in your life. Your toolbox is tools you alredy have, curiosity, courage, forgiveness, etc. that are underused; and, new simple open source code tools, like Your Own Symbol of Peace. The new psychology of self-healing is hands-on instruction and practice in how to use the consciousness tools we already have, use them more often and more effectively. September 28th 2009 - What’s in your energetic toolbox? Know it or not, you already have an energetic toolbox. Q: Why are you calling these simple things "tools"? A: Each of these is a soul capacity. They only become active as we use them. Use them—and you gain skill. Ignore them—and your skill diminishes. “Devotion” is a classic example here. Yogananda, founder of SRF, author of Autobiography fo a Yogi, is a shining example of how far one can get using the simple tool of devotion. “Tools” is a practical metaphor for “soul capacities” here. Any soul capacity can be exercised and developed into a tool for your ongoing upliftment, learning and growth. To switch metaphors, these are our spiritual muscles; they enjoy exercise. The question is—are you using your tools? I hope so. How effectively? 20th century materialistic science did not consider consciousness, soul or awareness as causal, as causative in the 3D world, in any way. You, dear Reader, understand awareness, soul, choice and intention, are likely the MOST causal of all factors in all human affairs. They are valuable tools in our toolbox. The new psychology of self-healing is hands-on instruction and practice in how to use the consciousness tools we already have, use them more often and more effectively. All tools here are open source! See the open source tool article for how open source applies to consciousness tools. Every tool on this site is open source: simple, learnable—if you practice, you will gain skill with it. For example, attention, intention and loving. What could be more open source than these? What you focus on, you get more of. Simple. Need some new tools? Find them here! Want to suggest a tool others can make use of? Want to sell a longer version? Wonderful! Email me. 1) Convey energetic tools and competency to individuals thru every means possible: website, 1:1 phone sessions, training, classes, books, DVD, CDs. 2) Provide original curriculum and coursework for coaches, practitioners, energy schools and intentional communities. The toolbox page identifies about half the current topics. You CAN take care of yourself. You can have healthy boundaries so disturbances released from clients do not gravitate towards you. You can learn to work with Light and Life as your Partners, on your own terms. Safety, especially for our younger sensitives & clairvoyants, who need safe curriculum and new tools to get going in a professional intuitive, coaching or energetic practice. The time is right for this in America now. For those local to So. 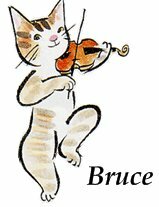 Calif. see Bruce's Hands-on, Self-healing Practice Groups here. Twice-monthly six month gift course, by email, in Open Source Healing here. If you get stuck on any of these tools, give me a call 310-397-1597 between 8:00 am and 9:30 PM PST. You can also email me a question at HealingEachOther~at~gmail*com. In computer-internet open source endeavors, the source code to make new tools is public. Same here. See the Three Selves article. That’s good source code for the human psyche, a simple, comprehensive model of the human psyche, incorporating—along with everything else--human Divinity. Spirit is the most potent healing force we can access so source code for the human psyche must incorporate how we connect with our own Divinity. See the Three Selves tool for more. What is a tool, anyway? Anything used as a tactic or strategy to accomplish a task, is a tool. Soul capacities, an inheritance we all have, are rarely tangible or hand-held; in fact, they rarely are. Laugher, service and acts of loving are the most visible soul capacities here in Earthly life. - Compassionate communication (CNVC.org) is a tool for honesty and intimacy. In my own Medical Intuitive practice, I use a large number of “tools.” My toolbox contains techniques, information, protocols, and lists that lead to solutions for myself, my patrons and my friends. All effective counselors, therapists and teachers have large toolboxes; that’s part of why they are so effective. This site shares tools I’ve found anyone looking for tools can pick up and learn. This is the place to acquire and mix and match new tools for your toolbox. Open source tools must be easy to use or—who cares? I invite you to collect tools here, put together your own toolbox of favorite tools, modify them as you need to. If you get stuck, give me a call 310-397-1597. New tools will be added they pass quality control over here or you send them in. Call me or send by email and I’ll evaluate them for publication here. Self-Healing Press may be a good outlet for longer pieces. He with the biggest toolbox wins? No! This is not a game of who has the biggest toolbox! The game I play here, my game, is every situation Life throws at me is an opportunity for me to show my loving. Results come to me according to how often I use my tools. As I use the tools I have, new tools are shown to me. Q: Wait! I know what open source healing is; it's EFT meridian tapping, right? A: EFT and meridian tapping is a wonderful modality, in all its many variations. A useful distinction exists here between open source tools and a “cookbook” approach to self-healing. EFT has helped thousands. You can learn the basics from videos on YouTube—yet--where is the source code? See the 4sale version of the Three Selves article where EFT and cookbook healing is addressed. Feeling safe to try new things? People will only reach out and take new risks when they feel safe to try something new. If you don't feel safe, you won't take a risk. Obvious but still real. If you feel safe, you will look for opportunities to invest your surplus in an area where you might gain and profit. Sound like financial planning? The same logic applies equally to personal-spiritual growth. We are always investing our resources and looking for a return. What kind of return are you looking for in your life? Personal-spiritual growth has two pre-requisites. One is curiosity. If you are not curious, when the status quo is good enuf, there’s no reason to change, right? The other pre-requisite for growth is willingness to heal. Click to learn more. Willingness to heal and willingness to change are of course closely related. I look forward to assisting you to get where you are going. Paypal button: 1:1 coaching by phone $40/30 mins. Money back guarantee: If you can tell me, “I learned nothing within 20 hours after the session, I will cheerfully refund your full amount minus any PayPal fees.